Starts with a 1200m relay, where each partner runs a 400m leg and a 200m leg. Second part is done like ’suicides’. One partner runs out to marked spot and does db thrusters (45#/30#) then brings the dumbbells back to the start line. Same person runs out again (to a further spot) and does KBS and brings KB back to start line. Same person runs out to next spot and OH walking lunges a medicine ball (20#/14#) back to start line. Partner # 2 then does the same, only in reverse, starting with the OH walking lunge with medicine ball ending with the thruster and leaving the equipment at the designated spots as they go. This is repeated for 3 rounds. 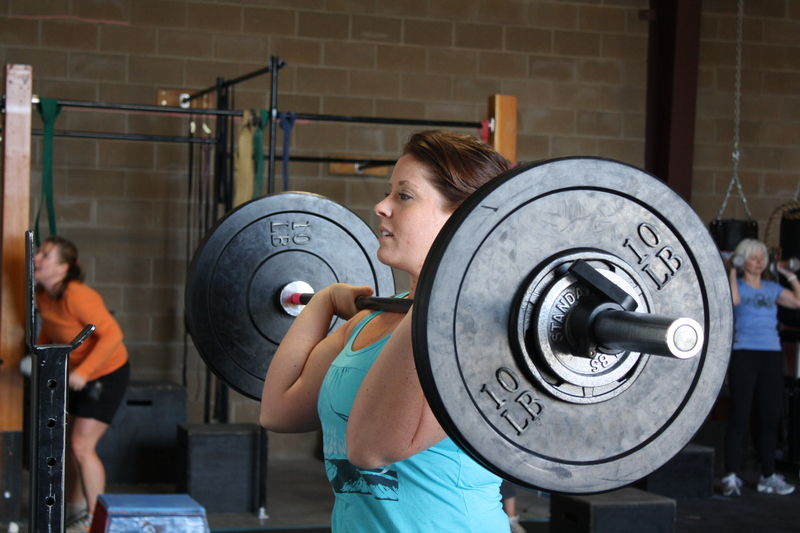 The reps for the thrusters and KBS are 15-12-9. The workout ends with another 1200m relay. Who is more fit, the olympic lifter, gymnast, or mile runner?